By early May the dismantling of the fire watchtower was completed. This is the spot where the fire watchtower has stood since 1857 . Although it is sad to see it gone it was necessary to dismantle the fire watchtower piece by piece so that it could be restored. Based on information presented last fall by the NYC Department of Parks and Recreation, the engineering contractor Thornton Tomasetti has been updating construction drawings during the dismantling and completing a conditions report with an analysis of each piece dismantled, all of which will be used in the preparation of the restoration contract. These documents will also be presented to the Landmarks Preservation Commission, Community Board 11 and the State Historic Preservation Office as early as June 2015. The estimated return of the fully restored fire watchtower is the Summer of 2017. 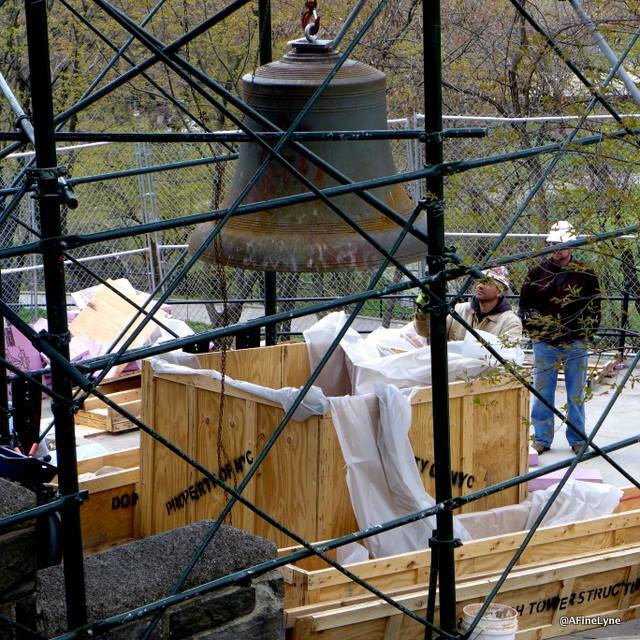 One of the last pieces removed from the tower was the 10,000 lb bell. This bell is not the original bell that was used to signal the location of a fire but it is the bell that was rung twice a day to signal the time as the tower continued to be used by community residents long after the tower was used as part of the city wide fire warning system. The bell is damaged but it is possible that it can be repaired. 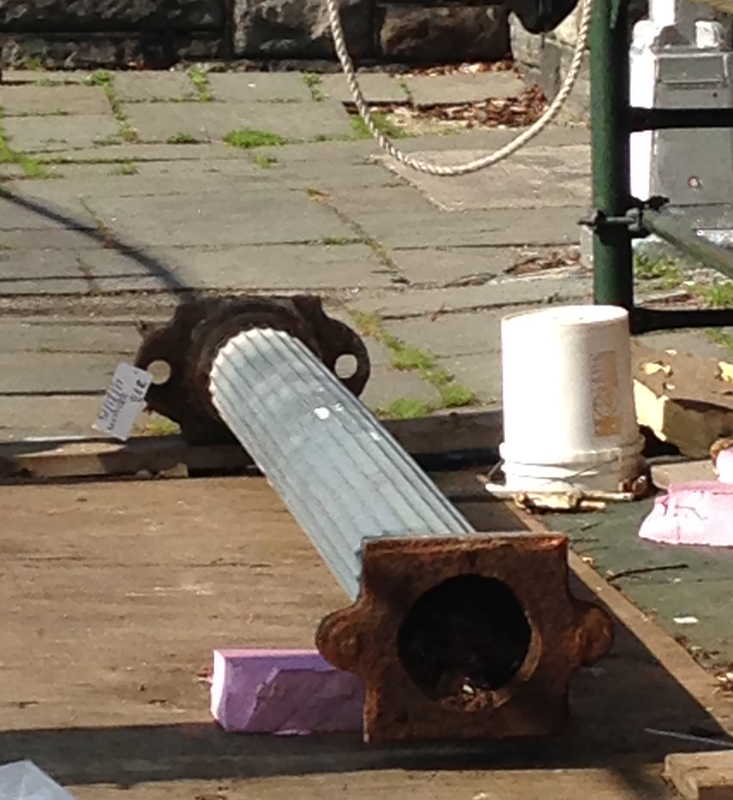 The only image I was able to capture of one of the columns shows how rusted the connections were. The North Terrace of the Acropolis with views facing North, East and West. 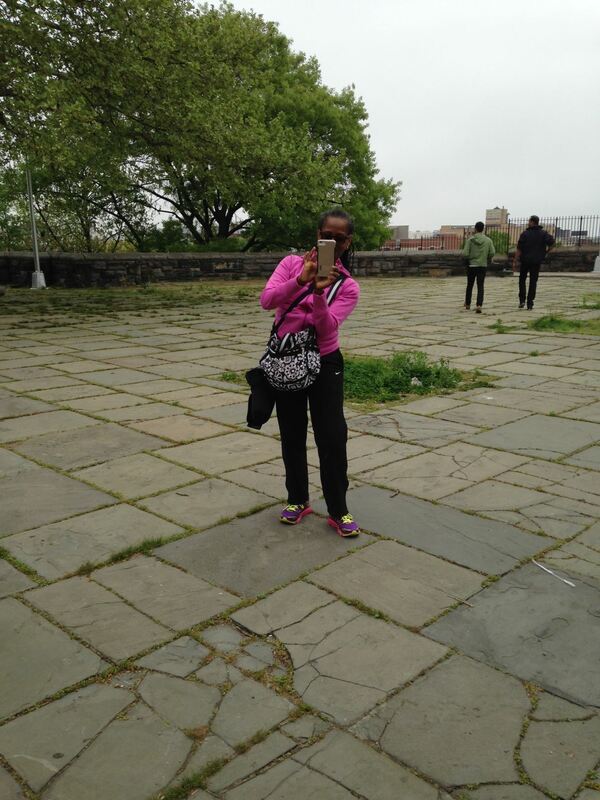 Community residents and friends of the Marcus Garvey Park Alliance visited the acropolis often during the dismantling phase of the fire watchtower restoration. Many took photographs, shared memories and discussed ideas for the acropolis. 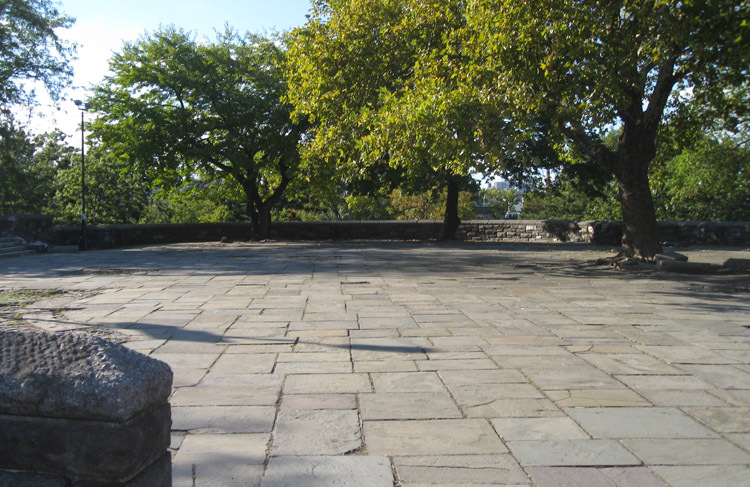 For those of you who do not know, the acropolis is a series of 4 terraces that overlook all of Harlem and beyond from Mount Morris in Marcus Garvey Park. 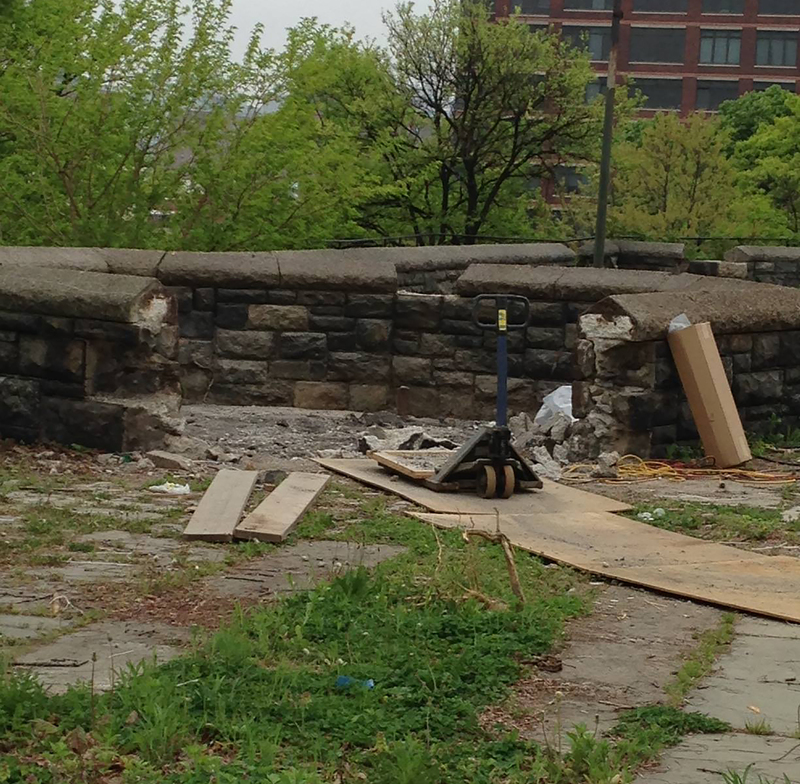 One terrace is known as the site of the fire watchtower, another a few steps down and just to the North pictured above is the one that will be used for a pop up art installation on May 31st 2015 and will also be used as the site for a public art installation later this summer. A smaller terrace faces East about half way down the mountain and the smallest of the terraces faces south with views of the Empire State Building and the new Freedom Tower. 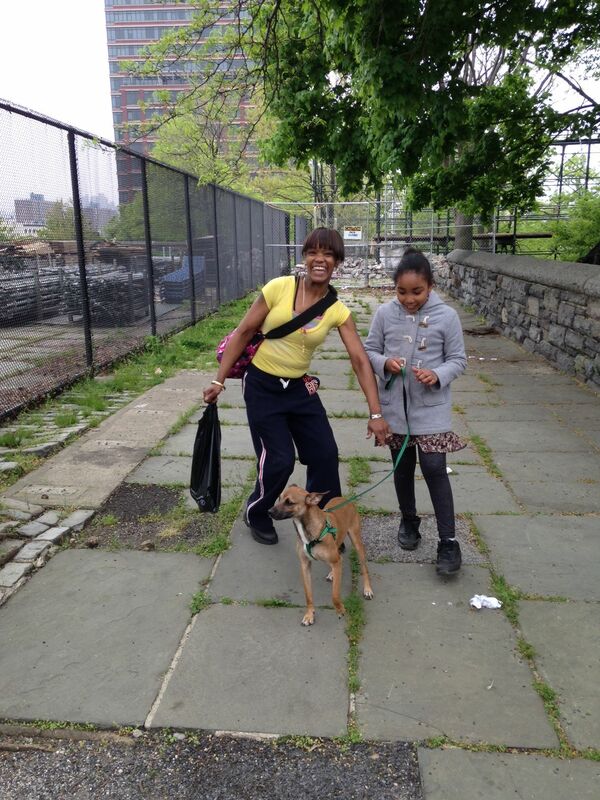 Community Residents walking their dog and exploring the acropolis. Currently the roadway/pathway that goes up the West side of Mount Morris is blocked off by fencing which is expected to be removed during the restoration phase of the fire watchtower. 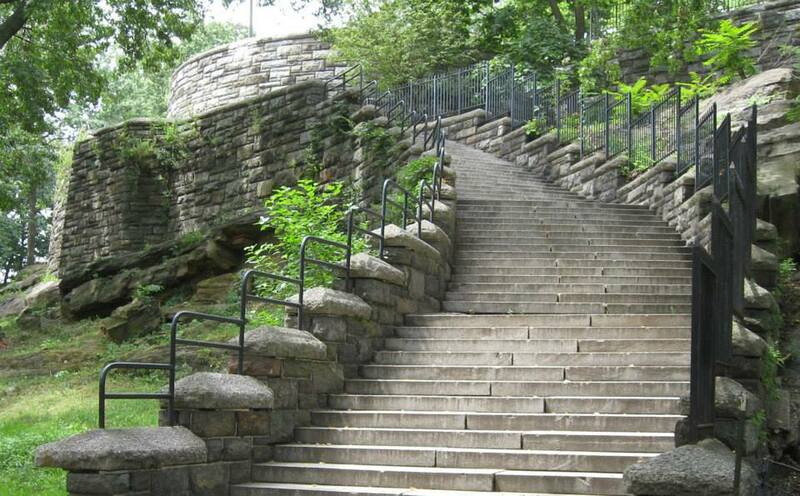 In the mean time you can access the acropolis by using the stair case on the East side (Madison Avenue side) of Mount Morris or you can use the stairs on the South Side (Fifth Avenue and 120th Street side) of Mount Morris. 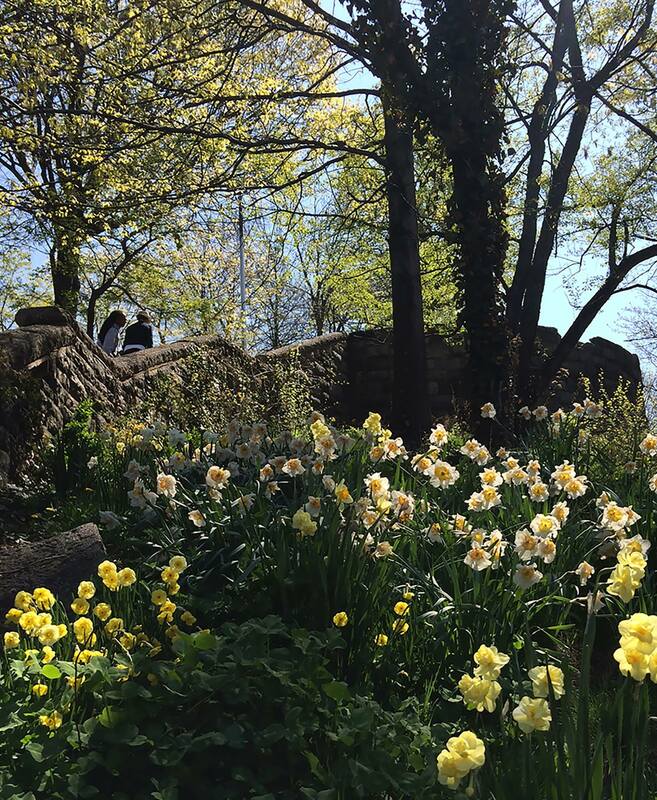 On Saturday mornings Marcus Garvey Park Alliance members lead walks around the park and up to the acropolis. 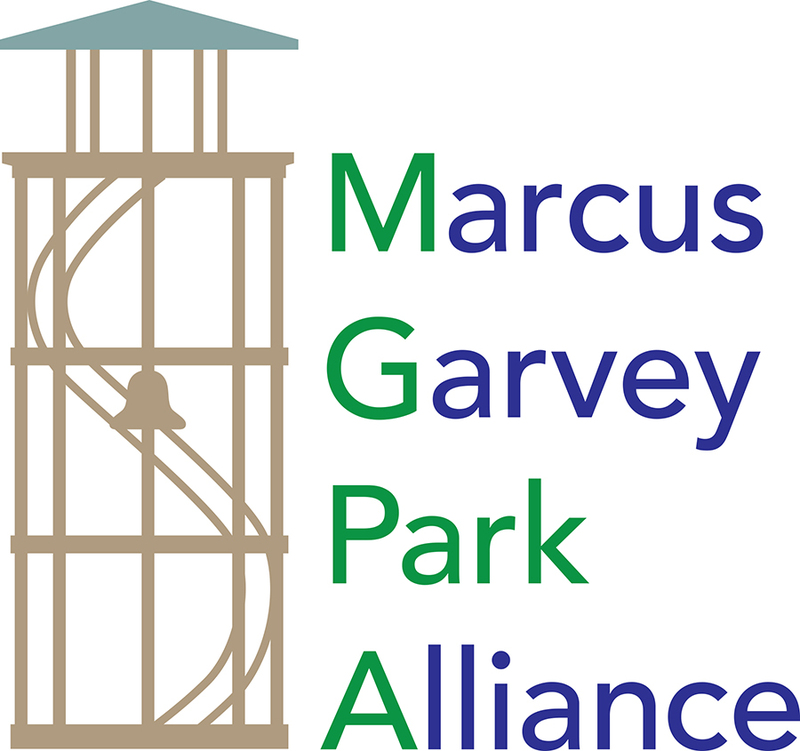 To join one of these walks you can email presidentmgpa@gmail.com or marcusgarveyparkalliance@gmail.com.